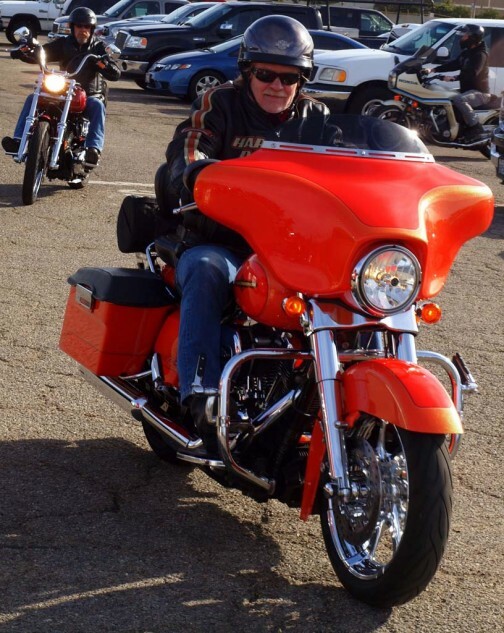 During the early morning hours of Sunday, December 14, while traveling north from L.A. on the 101 Freeway, you might’ve found yourself in the company of a flurry of bikes, primarily of the Harley chopper family, burbling and growling their way through the slower car traffic. What’s the buzz all about? Well, that would be the pilgrimage to the 11th Annual Chopperfest Motorcycle Art and Culture event, now held at the Ventura County Fairgrounds. 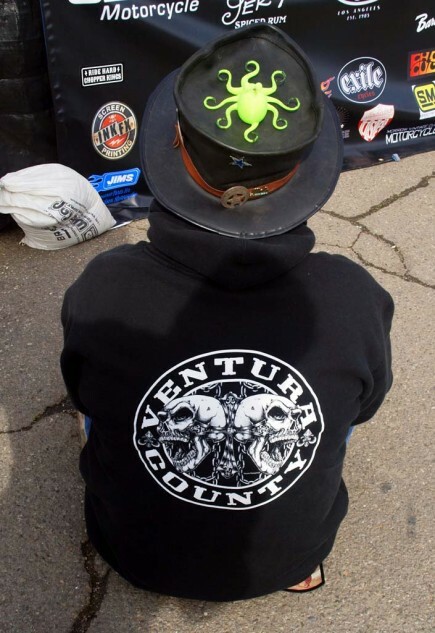 You can thank David “Huggie” Hansen, the honcho at The Shop, an iconic Ventura-located bike emporium since 1972, for coming up with the idea. 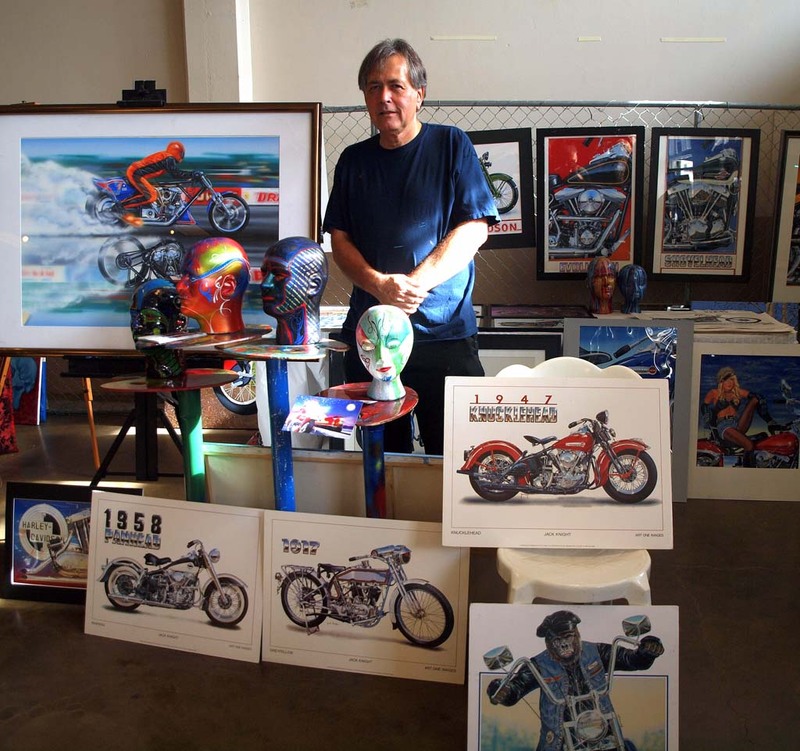 It happened that in 2004 the much loved and respected artist David Mann, his work for years seen as the greatest expression of the biker lifestyle, passed away. 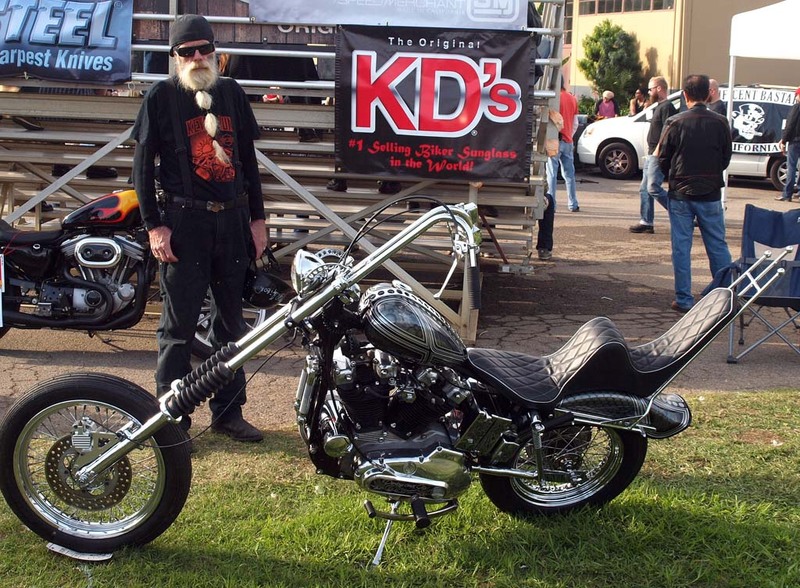 To honor him, Huggie organized the first Chopperfest, a blend of motorcycle and art that still empowers the annual event. 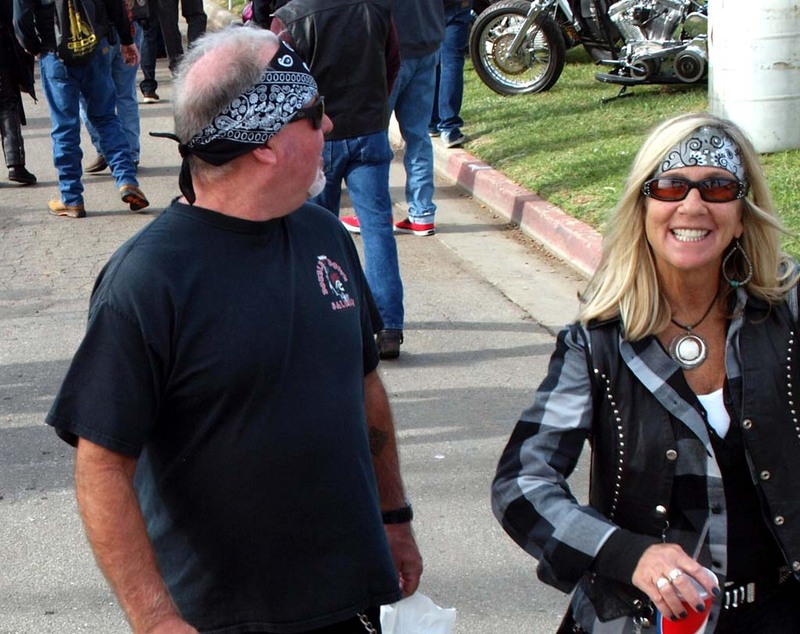 This year drew several thousand fans who enjoyed a treasure trove of iron and art that spread across the spacious Fairgrounds. 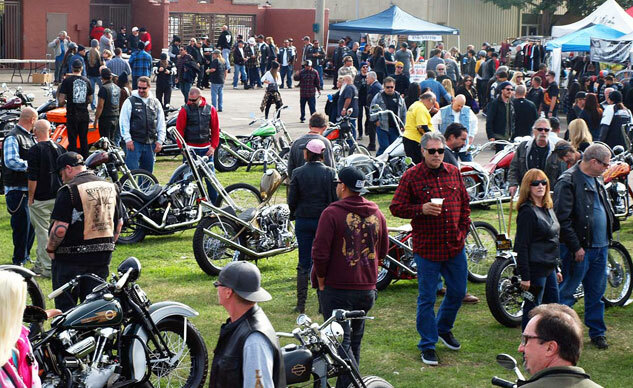 Attendees were able to shop for that particular bike part or Christmas gift thanks to some 200 vendors and swap-meet booths stretching as far as the eye could see. 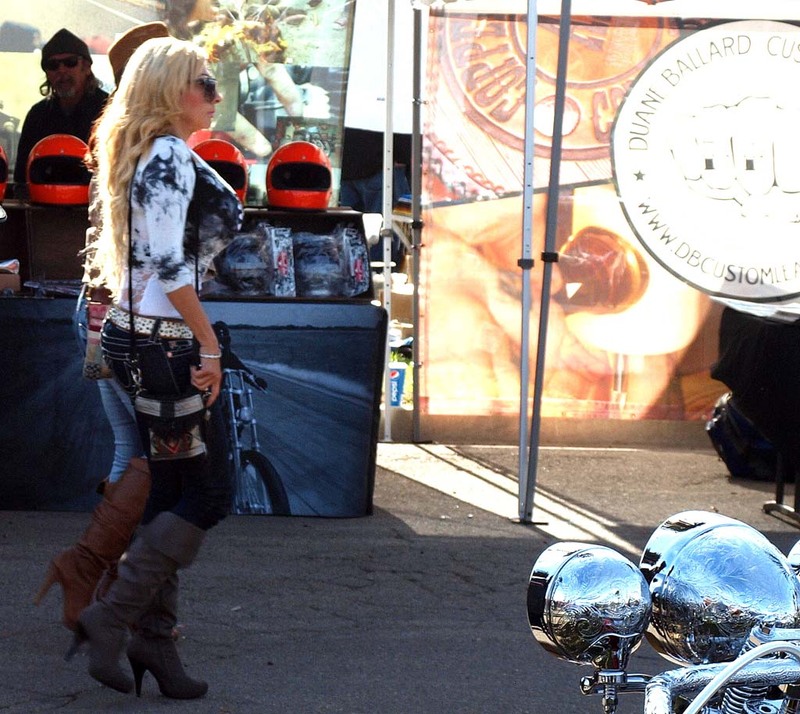 There was also a special exhibition of biker art in homage to David Mann. The ground vibrating with the sounds of hundreds of bikes rolling into the Fairground, accompanied by the rockin’ soundtrack for the day-long party provided by the Harlis Sweetwater Band and the Gilby Clarke Band. Best Bifurcated Gas Tank: Dalton Walker of S.I.K. 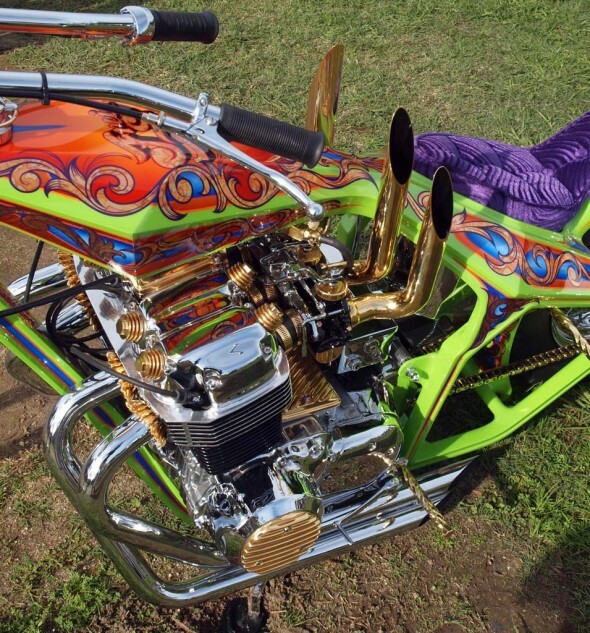 built this lovely flathead that took Best of Show honors at Chopperfest. Featured builders in the Bike Show competition included: Paul Cavallo of Spitfire Motorcycle, Dalton Walker of S.I.K., Duane Ballard, Russel Mitchell of Exile fame, Caleb Owens of Cro Customs, Taber Nash of Nash Motorcycle, Mike Tomas of Kiwi Indian, Kurto Morrow of Ventura Motorworks, Rick Bray of RKB Kustom Speed, Michael Barragan of Evil Performance Motorcycles, David Zemla of Burly Brand, Dan Collins of Old Gold Garage, Jim Giuffa of AFT Customs, Aki Sakamoto of Hog Killers (Japan), Paul Ponkow of Bone Legacy, Lock Baker of Eastern Fabrications, Will Ramsey of Faith Forgotten Choppers and Scott T-Bone Jones of Noise Cycle Mfg. 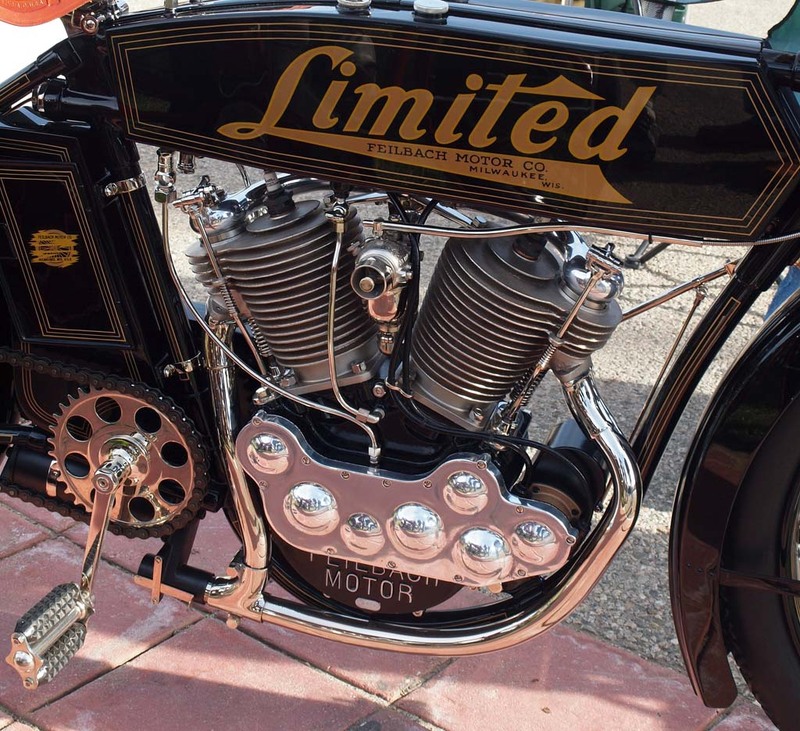 Among them were a slew of home garage builders who brought a wild and woolie spectrum of bikes spanning 49cc to 5000cc’s … highly polished works of rolling art to “patina rich” ratsters. 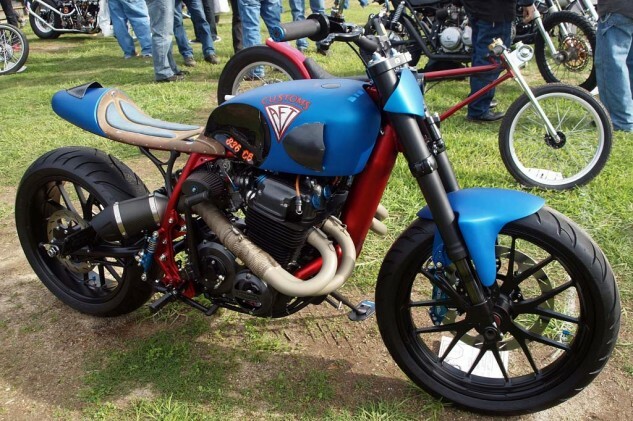 Best Café Racer: Jim Giuffra of AFT Customs built this’ “Cimeron” Honda that won the Best Metric category. 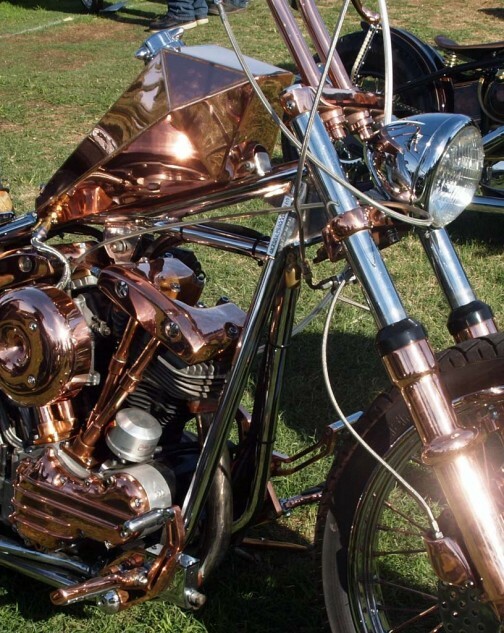 Best Use of Copper Polish: Ryan McQuiston’s blindingly beautiful 1976 Shovelhead. 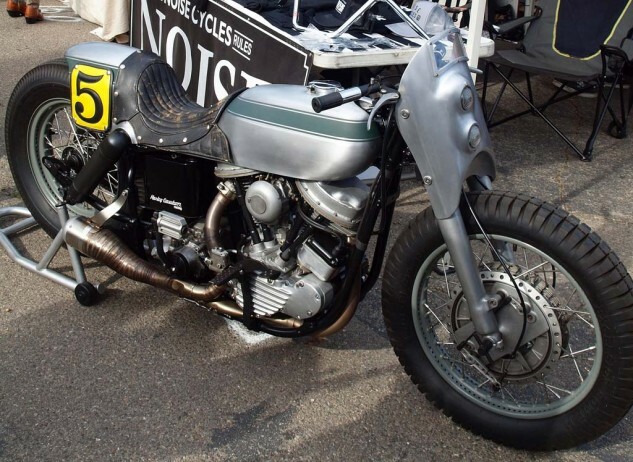 Best Rarest-Awesomest Mostly Unknown Vintage Bike goes to Don Whalen’s 1914 Feilbach “Limited” 69 cu. in. V-Twin. The bike was originally made in Milwaukee circa 1904-14 by Arthur Otto Feilbach and brother William. 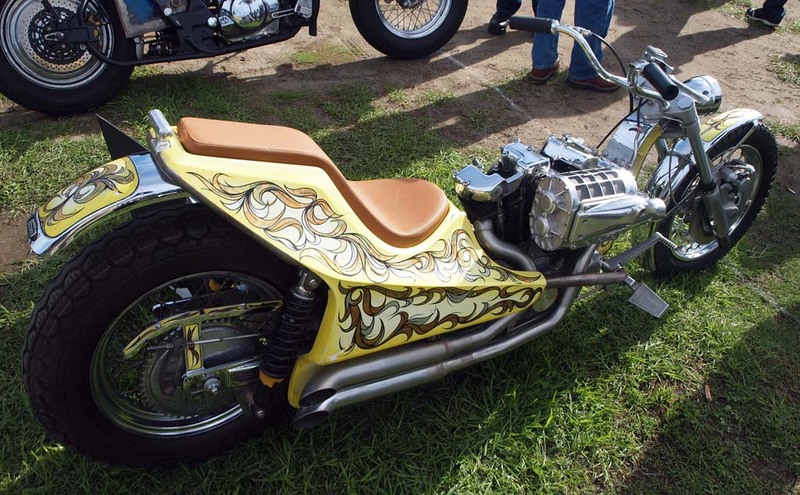 One of five known to exist, it was recently restored by master of the art, Steve Huntzinger. For a time, the Feilbach was of such high quality and dependability that it threatened Harley-Davidson. Best Organ Pipes via Paul Ponkow’s 1972 Honda 750. 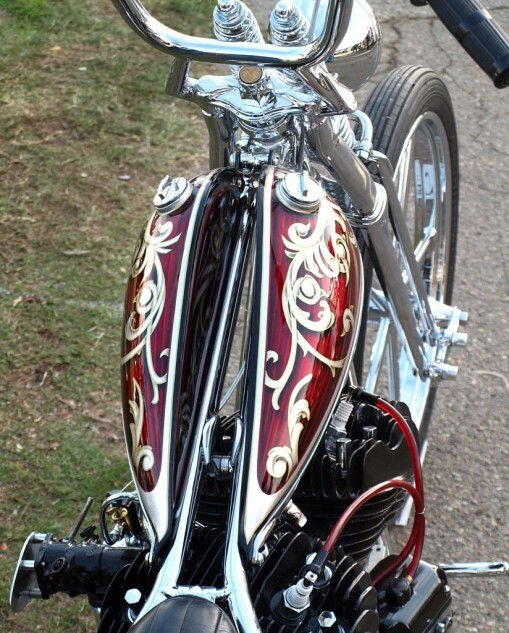 Best Dr. Seuss Inspired Triumph Chopper: Called “Satyricon” by prolific Las Vegas-based builder Paul Ponkow of Bones Legacy. It won the Best British class. 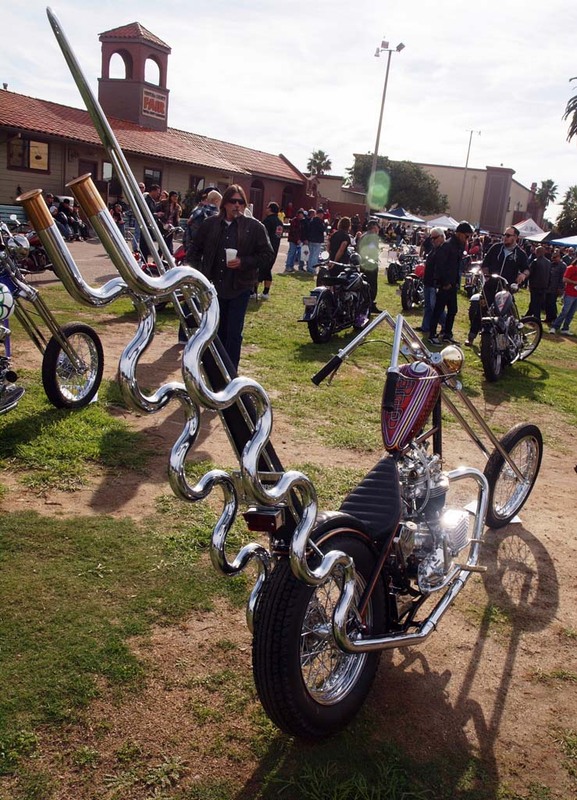 Best Gnarliest Cool Bike of the Day. This Noise Cycles Panhead features a hand-formed body, a four-leading-shoe drum brake, and seat upholstery fashioned from vintage leather jacket. Best 1974 Predicted “Bike of the Future.” This original supercharged Sportster-powered Magnacycle as designed by Jerry Magnuson came as a kit for $1,495 into which you plugged your motor. 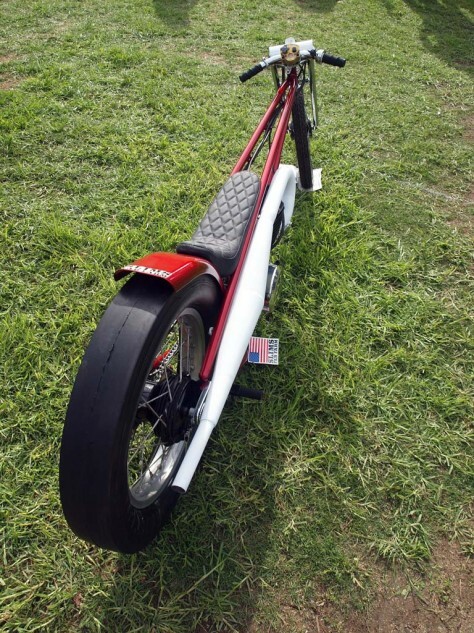 A new Magnacycle Motorcycles company is now re-making the bike. Best 18-Year-Long Homebuilt Triumph Project. Built by Oklahoman Richard Jones with help from his Dad. 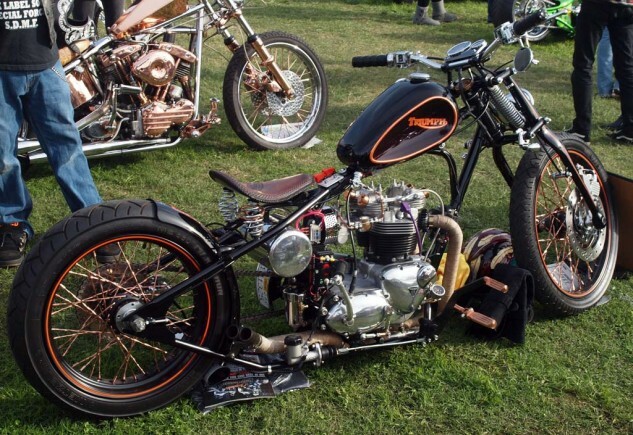 Its front end is original Indian springer, The Triumph TR6C engine is kitted to 750cc. Best You Can Never Be Too Thin Bike. A 1983 Yamaha 460cc dragster by Slim Fabrications. Best Headlamps Engraved or Otherwise. Best Classic Biker and Classic Bike Combo, Robby Derby’s 1976 Ironhead Sportster. 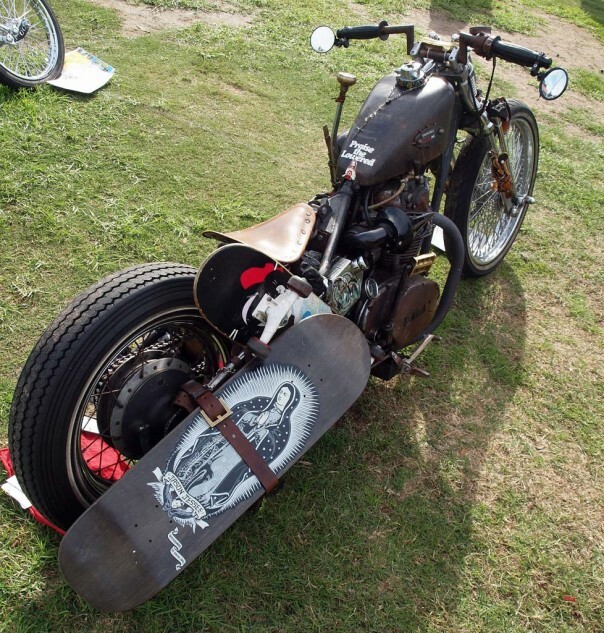 Best Head Cases thanks to artist Jim Knight of Huntington Beach, CA, Motorcycle Art Works. Best Facial Hair with Blond Twin Award goes to Jeff and Frankie from Sweatshop Industries and friend either Amy or Jen – it’s hard to tell them apart. 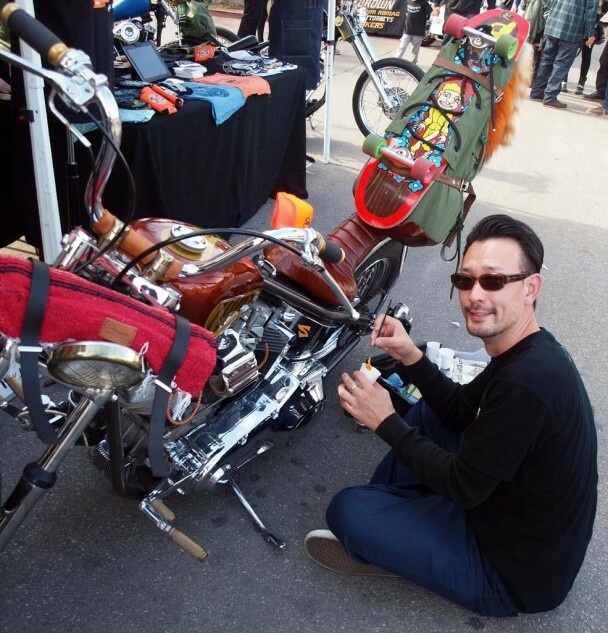 Best Pinstriper Visiting from Japan: Artist Jet Wrench working on ’78 Shovel owned by Frankie of Sweatshop Industries. 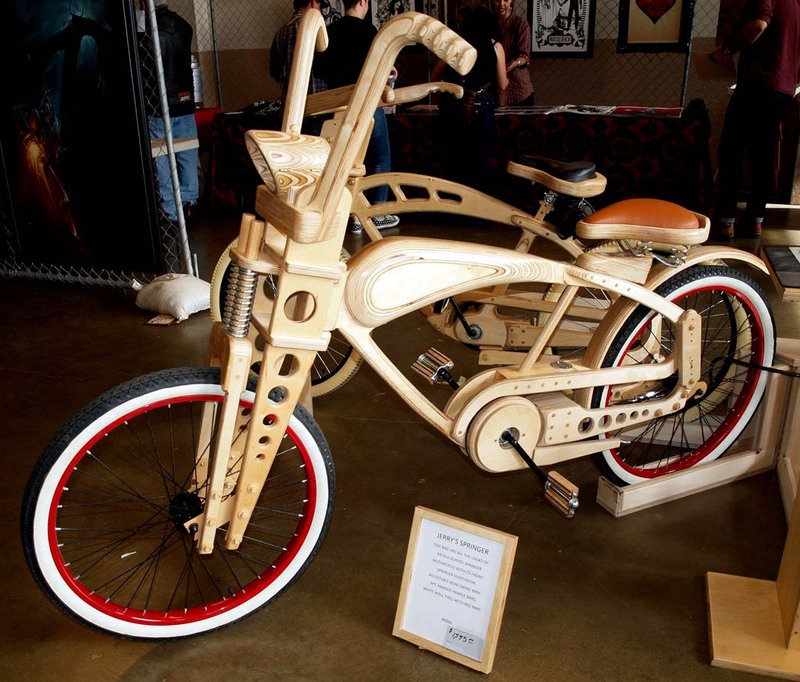 Best Wooden Bike without Splinters You Can Ride. Hand-built by Jerry Knight and featuring real springer suspension, adjustable swingarm, working headlight. A bargain at $1,595, with several different models available. Best Event Organizer: Jennifer Santolucito with admirers Kai and Beatnik. Best Combination of Hoodie and Hat. Best Defense Against “I Didn’t See You” Excuse.